Regular maintenance of your entire braking system is a must. For safety reasons, you should have your brake system safety inspected at least once a year. Your brake system should be serviced at least every 2 years. This service should include replacement of front brake pads if necessary, resurfacing of the rotors, replacing disc or drum brake pads, bleeding of the entire brake system, replacing brake fluid, and a total inspection of the brake system. In general, your car's brake system should be serviced every 20,000 to 30,000 miles. 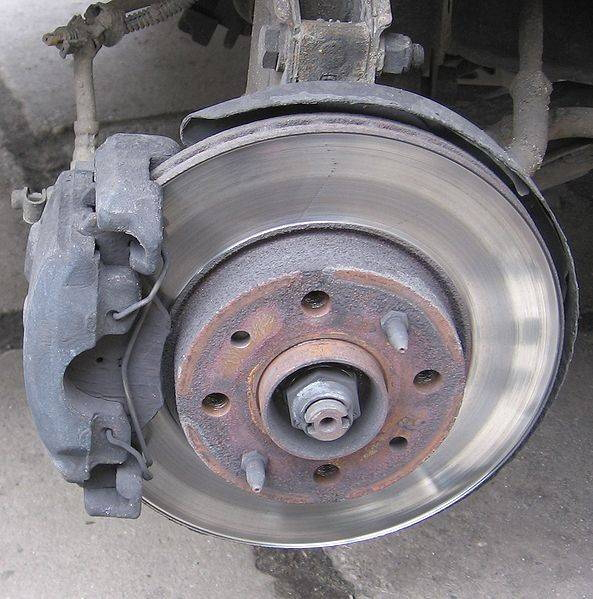 There are rather distinct signs that your brakes need attention. However, there isn't always a warning that your brakes might be failing, and it's dangerous to wait until too late. Some of the signs of excessive brake wear include a squealing sound, caused when the brake pads have worn to their replacement indicators, vibrations when pressing the brake pedal, and the dashboard brake warning indicator light. Your brakes might also need service if you notice the steering wheel pulling to one side, or if your brake pedal feels spongy or hard to push.